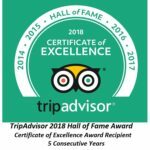 Welcome to the Speckled Hen Inn, a Bed and Breakfast located on the edge of Madison, (WI) Wisconsin, just 7.5 miles from the Capitol Square and the campus of the University of Wisconsin (UW). From Chicago O’Hare International Airport (136 miles): take the “Terminal Parking” left exit onto Interstate 190 East toward Chicago go 2.4 miles and take exit #1C, “Milwaukee/Rockford” and get in the “Rockford” lane. This will put you onto Interstate 90 West. Continue on Interstate 90 for 130 miles. The toll booths stop at the Wisconsin state line. Take exit #135A toward Madison. This will put you on US Highway 151, East Washington Avenue. Go to the 4th stoplight and make a right turn onto Portage Road. There is an Office Depot store on that corner. Travel exactly 2 miles to the driveway to the Inn. The driveway is on the left side of Portage Road. From Milwaukee (77 miles): take Interstate Highway 94 West for 70 miles. Take the Eau Claire/ WI Dells exit onto Interstate 39 and go 1.8 miles to exit #135A toward Madison. This will put you onto US Highway 151 South, East Washington Avenue. Go to the 4th stoplight and make a right turn onto Portage Road. There is an Office Depot store on that corner. Travel exactly 2 miles to the driveway to the Inn. The driveway is on the left side of Portage Road. From Green Bay (151 miles): take US Highway 41 South 57 miles to exit #113. Take highway 26 South for about 22 miles. Obey the posted speed limits in Rosendale. Then take the ramp onto US Highway 151 South to Madison. You will cross under Interstate 90-94-39. Continue on US 151, East Washington Avenue to the 4th stoplight. Then make a right turn onto Portage Road. There is an Office Depot store on that corner. Travel exactly 2 miles to the driveway to the Inn. The driveway is on the left side of Portage Road. From Wausau (140 miles): take Interstate 39 South 130 miles to Madison exit #135A. This will put you on US Highway 151 South, East Washington Ave. Go to the 4th stoplight and make a right turn onto Portage Road. There is an Office Depot store on that corner. Travel exactly 2 miles to the driveway to the Inn. The driveway is on the left side of Portage Road. From Minneapolis (265 miles): take Interstate 94 East 262 miles to Madison exit #135A. This will put you on US Highway 151 South, East Washington Ave. Go to the 4th stoplight and make a right turn onto Portage Road. There is an Office Depot store on that corner. Travel exactly 2 miles to the driveway to the Inn. The driveway is on the left side of Portage Road. From Dubuque, Iowa (104 miles): take US Highway 151 North 87 miles to Madison and then take US Highways 12 and 14 East 7.4 miles to US Highway 51 North. Turn Left on Highway 51, Stoughton Road and go about 5 miles. Turn Right on US Highway 151, East Washington Ave. Go to the 3rd stoplight and make a left turn onto Portage Road. There is an Office Depot store on that corner. Travel exactly 2 miles to the driveway to the Inn. The driveway is on the left side of Portage Road. From Dane County Regional Airport: depart the airport on International Lane. Turn left at the 1st stoplight onto Anderson and travel 1.4 miles. Turn right on Stoughton road and move quickly to the left turn lane. Turn Left on East Washington Avenue. Go to the 3rd stoplight and make a left turn onto Portage Road. (there is an Office Depot store on that corner). Travel exactly 2 miles on Portage Road and the driveway to the Inn will be on the left. 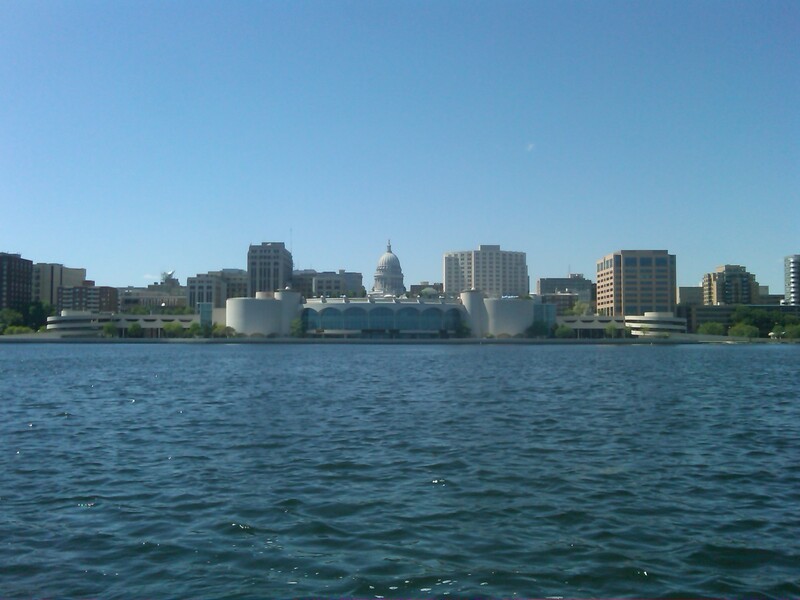 From Downtown Madison and UW Campus: From the capitol square turn right onto East Washington Avenue (big glass US Bank Building) and travel 5.5 miles East on East Washington Avenue. Turn Left on Portage road (Office Depot on the corner) and travel exactly 2 miles to the driveway to the Inn on the left. If you need additional navigational assistance, please don’t hesitate to phone the Inn. The local phone number is 608-244-9368. Toll free 877-670-4844.